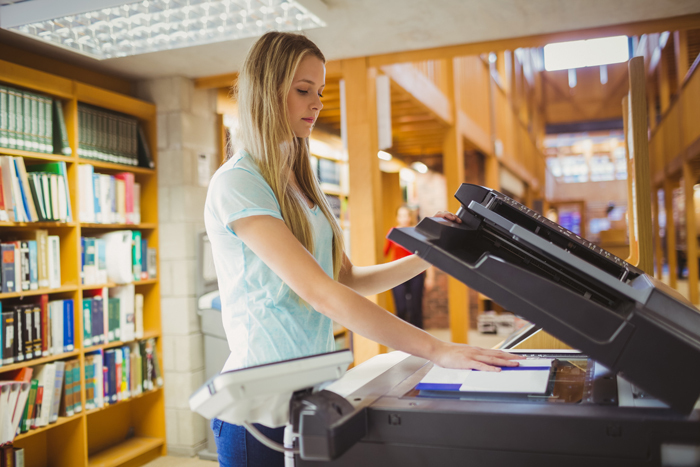 Multi-function printers (MFPs) are essential to any workplace. Having the ability to print, scan, copy, fax, and email documents from one machine is something that both small and large offices can, and should, benefit from. If set up and maintained properly, MFPs can improve the workflow of an entire office, while also decreasing the amount of money spent on traditional printing. Finally, a solution that revolutionizes the way you pay for color printing. FriendsOffice puts you in control by defining your color usage levels, based on your documents. So, you only pay for the actual color use use! 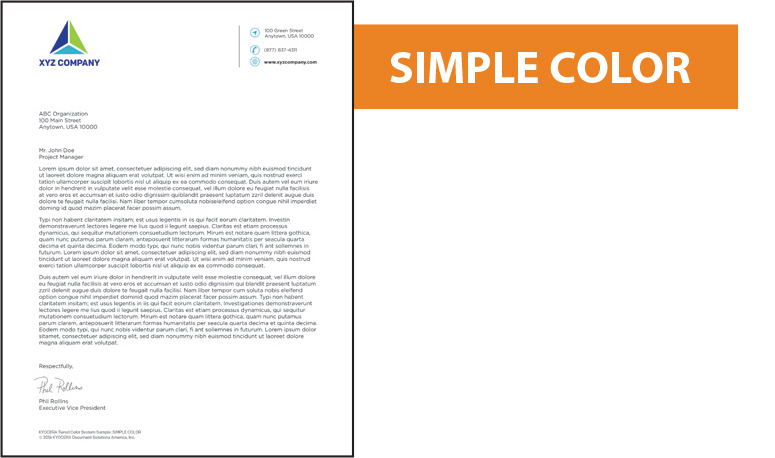 Simple color includes basic documents that may include one, small area of color, such as a company logo on letterhead with monochrome correspondence. 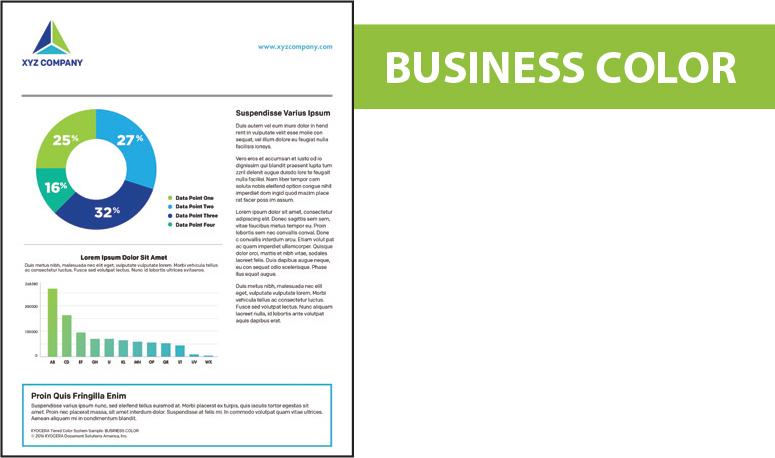 Business color includes documents with slightly more color and graphics than simple color. An example would be a report that contains charts and graphs with text (medium coverage). 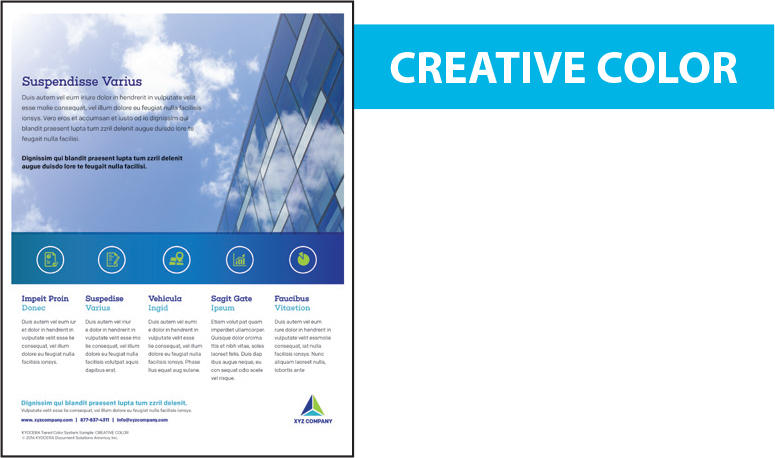 Creative color includes any documents that are predominately color-rich collateral, such as brochures, presentations, and other high coverage pieces that include multiple color swatches and/or photography. Laserfiche was founded on the idea that we could help the world work smarter. The technology evolves constantly, but the vision endures. 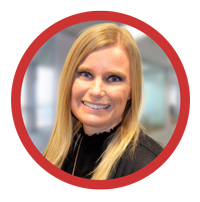 At its core, Laserfiche is about empowering people to do more of the work that matters. At FriendsOffice, we always put people before products. We pride ourselves in our superior customer service, and one of the ways we do that is by offering a full service technician department dedicated to our copier division clients. We will never send a third-party technician to your facility. 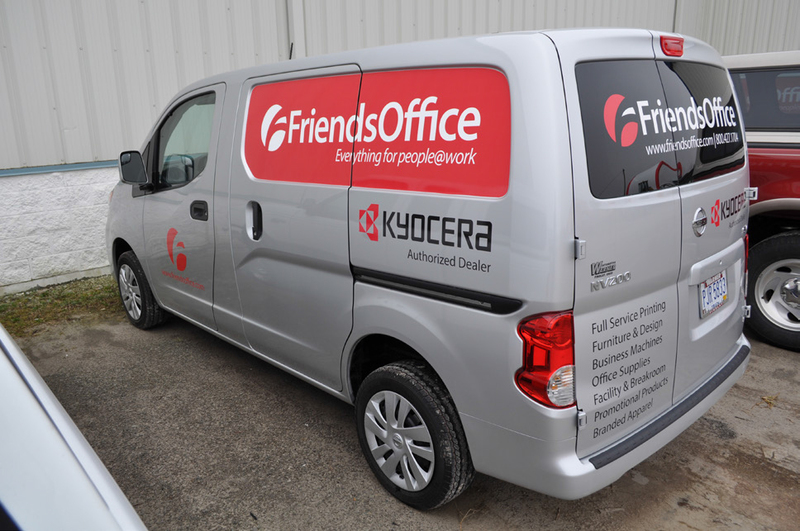 If you have an issue with any machine from FriendsOffice, our own dedicated team of tech professionals will visit your building the same day to fix the problem...the FriendsOffice way! We have multiple locations across the state of Ohio and Pennsylvania, which means we have the capability to serve a vast array of customers throughout multiple regions.